We’ve just had a lovely long weekend here in Perth. 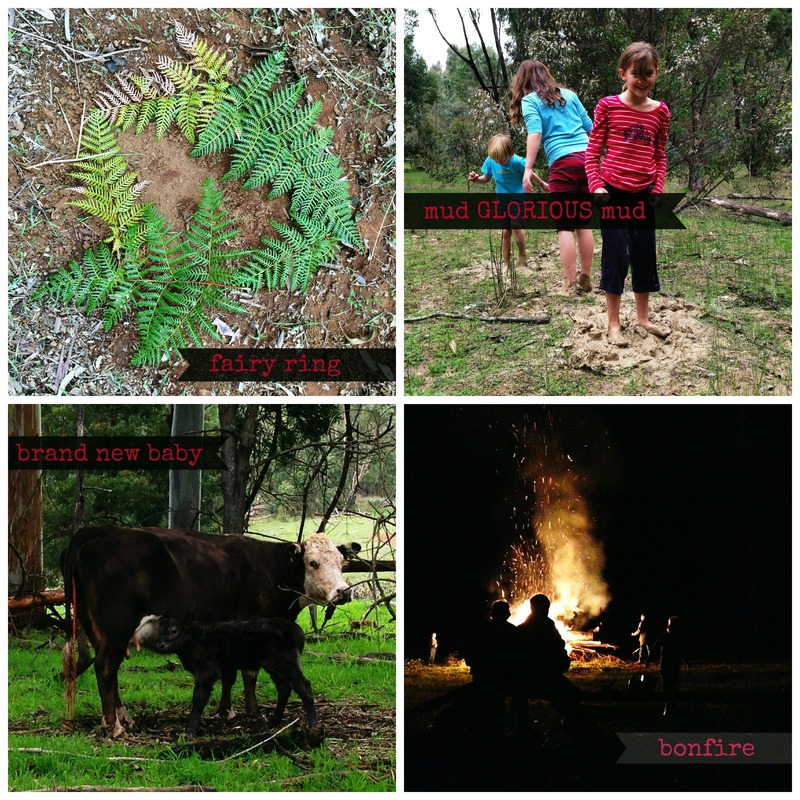 We loaded up the car and headed south to Bridgetown where we camped among beautiful Sydney blue gums on my in-laws farm. The kids had a ball playing in icky squelchy mud, and the dogs decided they quite liked to eat poop. Cow, or the not very well buried human variety, it didn’t matter to them. I am never going to let their doggy tongues anywhere near my face. EVER. AGAIN! It was so wonderful being in the bush, spotting birds that we just don’t get in the suburbs, and sitting around a campfire staring up at more stars than you’ve ever seen in one go. We got to see brand new calves barely up on their feet, and helped de-bark saplings to be used as rafters in a new farm shed. I even have the blister to prove it! The kids were away from screens, and let their imaginations run wild. Every mushroom was a home for a bush fairy, and the girls made a fairy ring from bracken leaves. They all had rides in the tractor, met a couple of miniature pigs, and had a ride on a horse. We played ‘storm the lantern’ when the sun went down – and even the grown ups were crawling commando-style through the bracken trying to win! 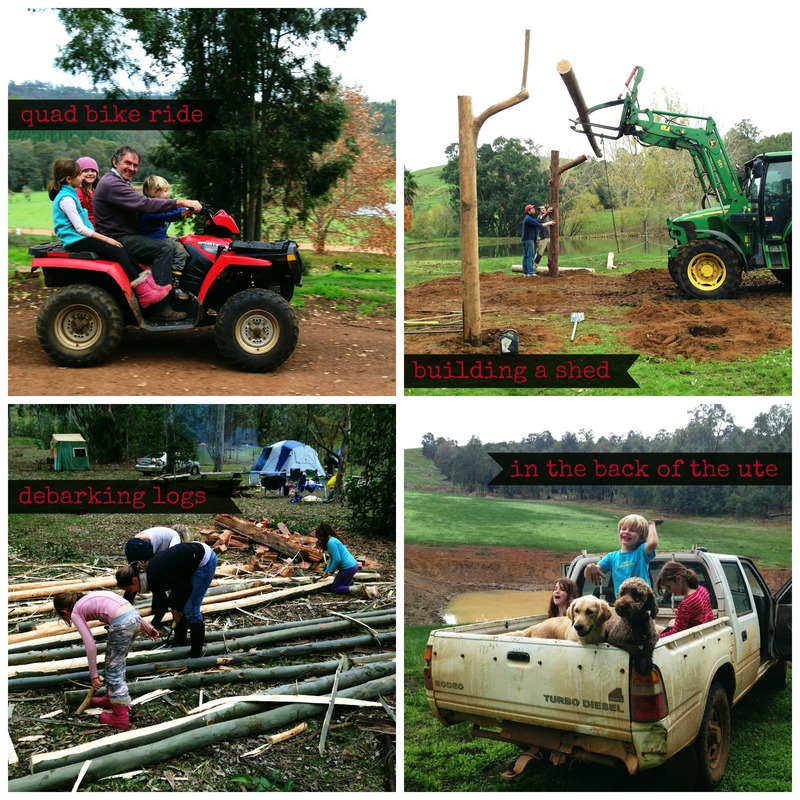 We had such a great time mucking around in the bush. It was cold, and we didn’t shower for three days, but it was just so darn good to have a break from the regular day to day stuff. Now we just need another day off work and school to recover! !